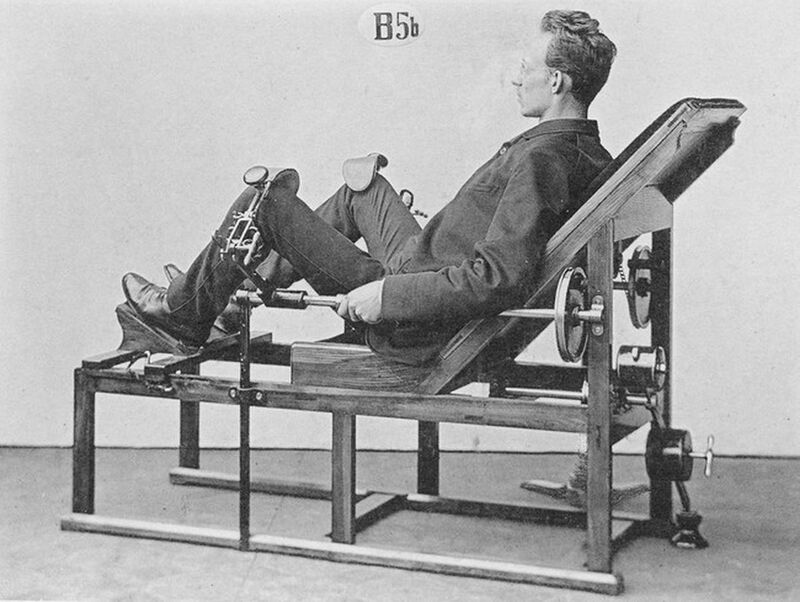 Here is a collection of vintage machines from the first gym. 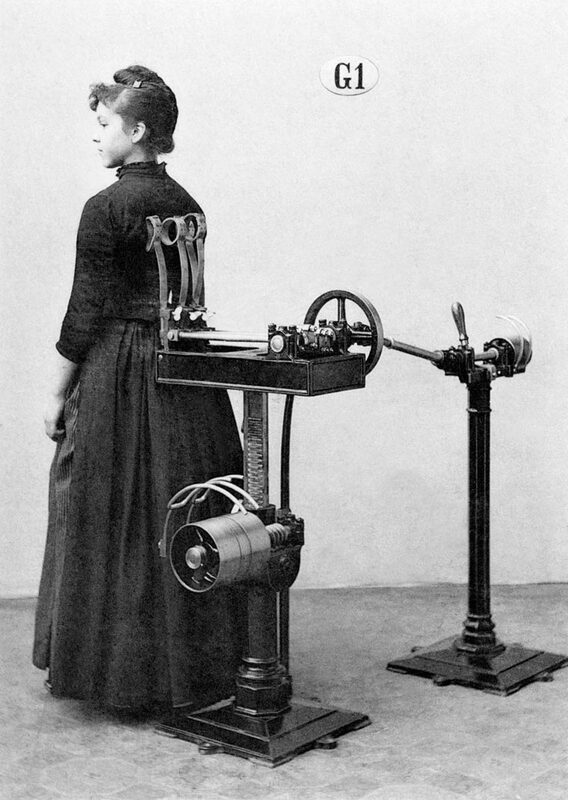 These were invented by Dr. Gustav Zander and photographed in 1892. 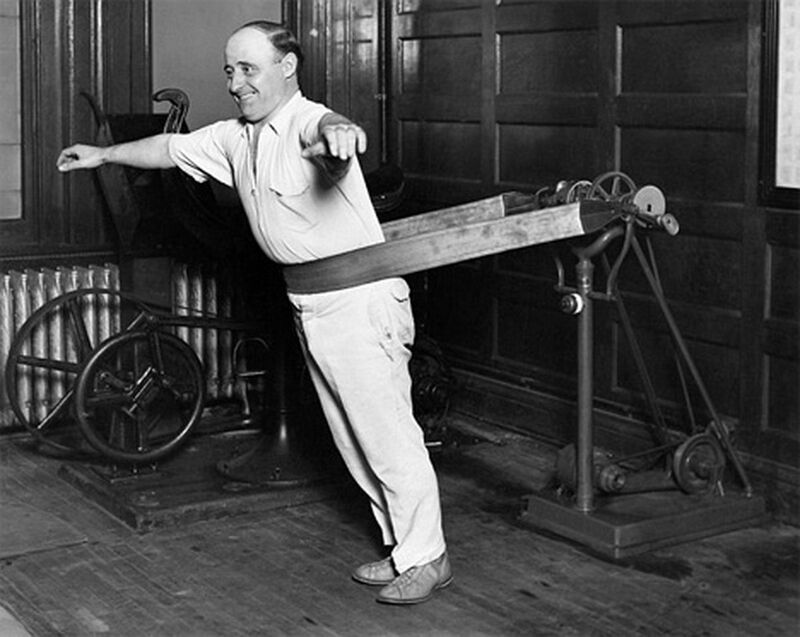 Forget traditional gymnastics! 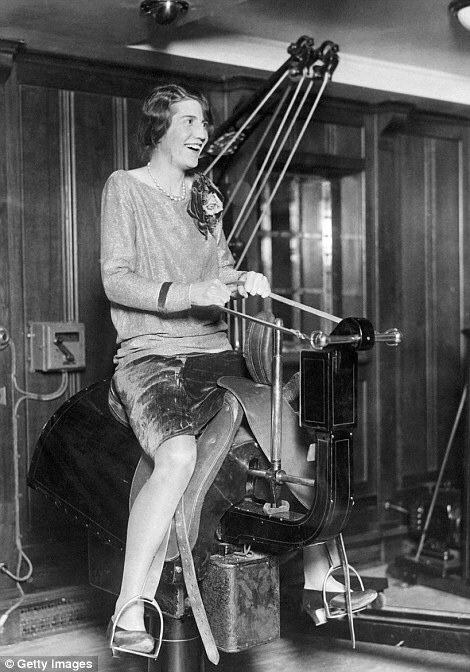 Ladies in the '30s strapped themselves up to this backyard apparatus to practice their backflips. 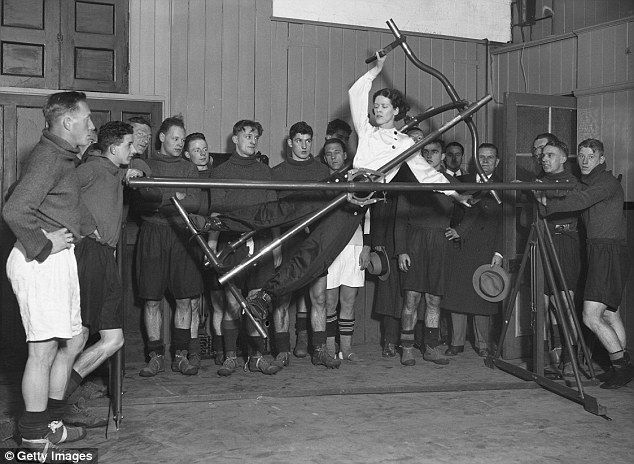 A woman demonstrating an exercise machine known as the Gymo Frame to members of the Arsenal at Highbury in 1932. 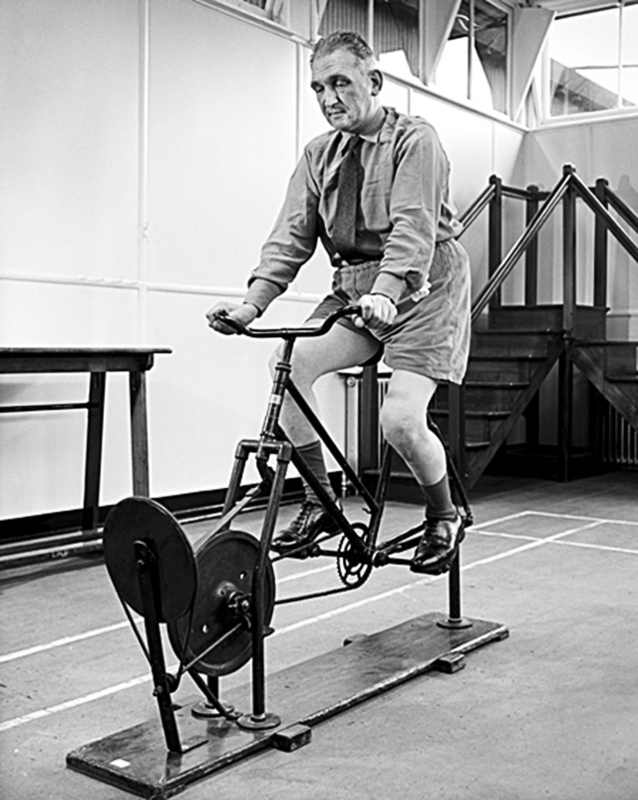 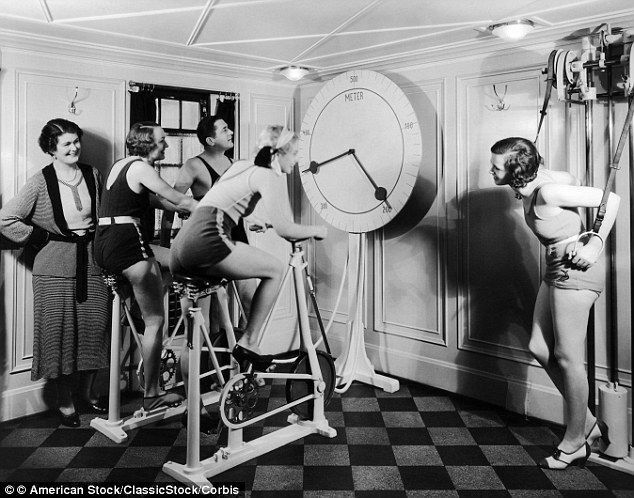 Racing against the clock on vintage exercise bikes - still in heels. 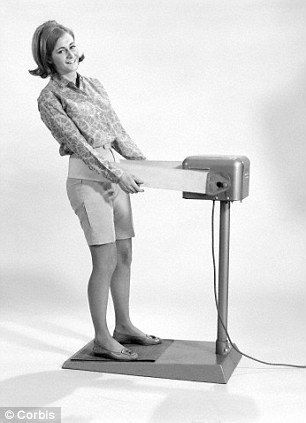 The 1960's vibration style machine.